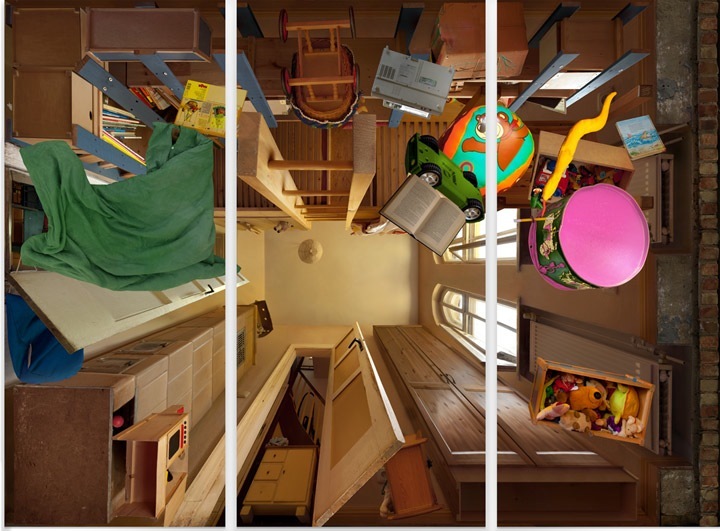 Trained on centralize perspectives, the eye struggles for orientation. 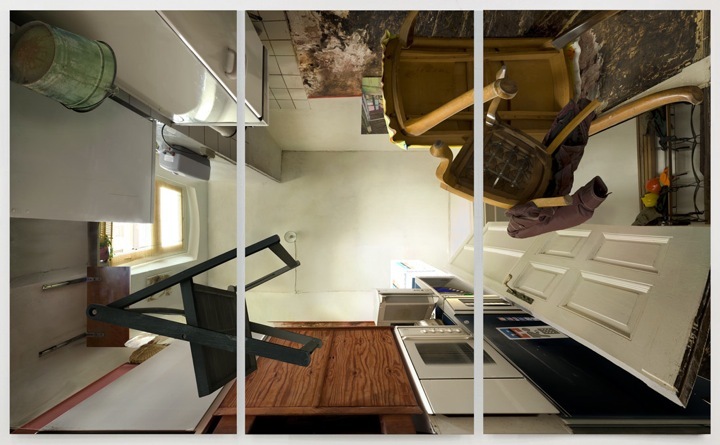 The series “FROM BELOW” by Michael H. Rohde has some utopian views of interior spaces keenly challenge our perception. 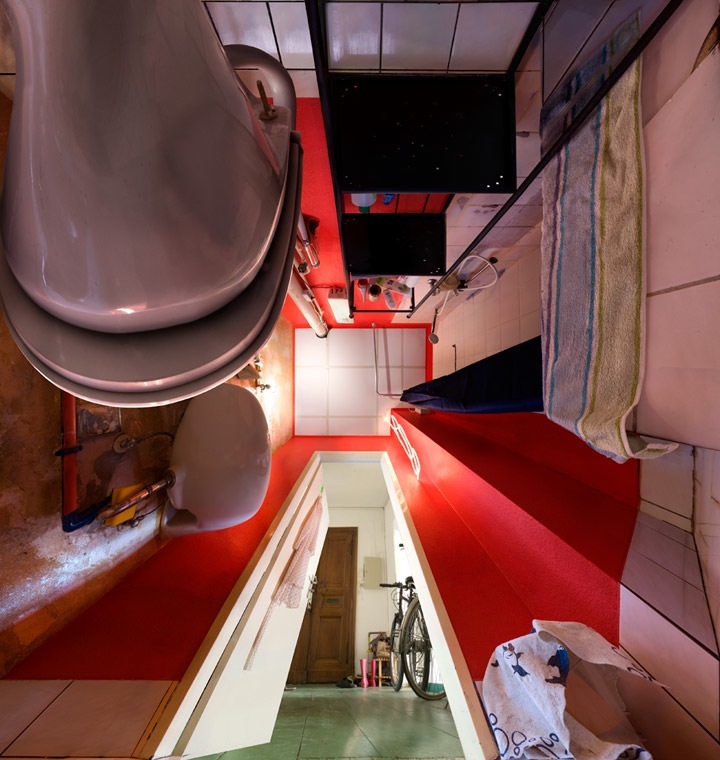 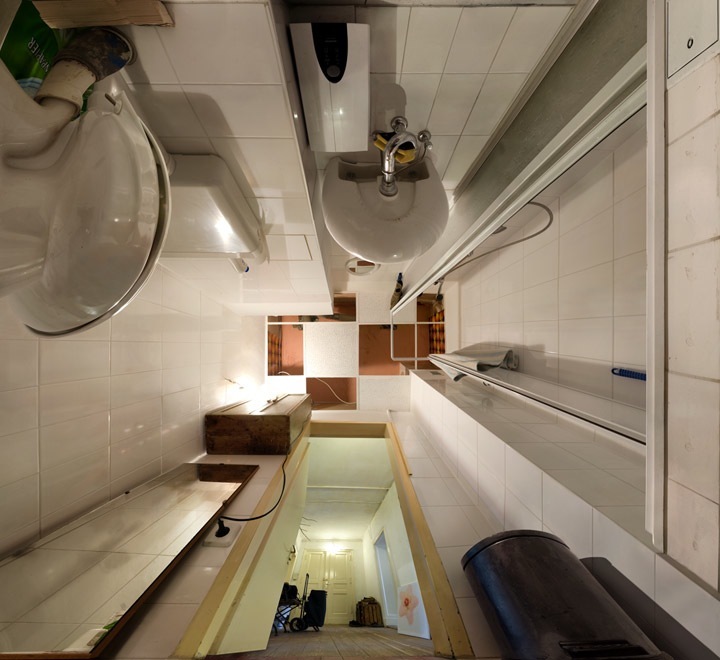 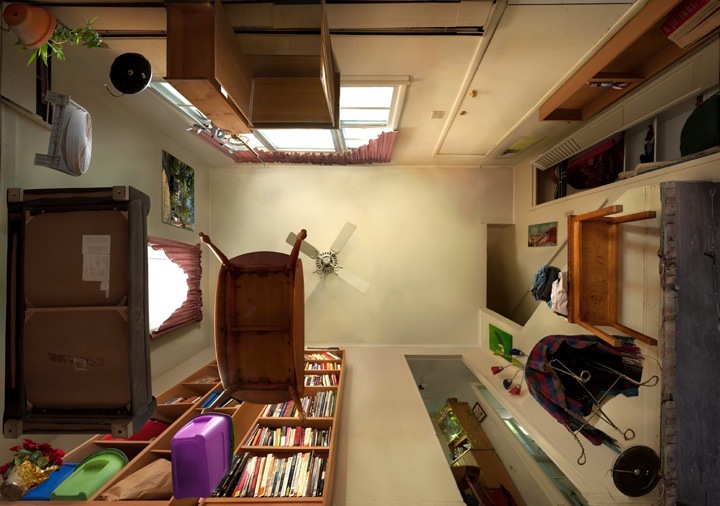 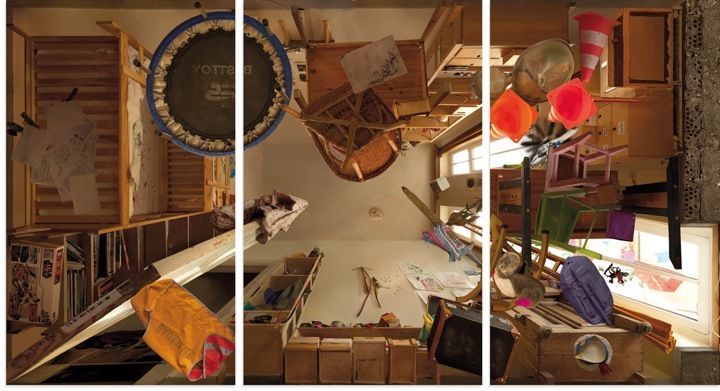 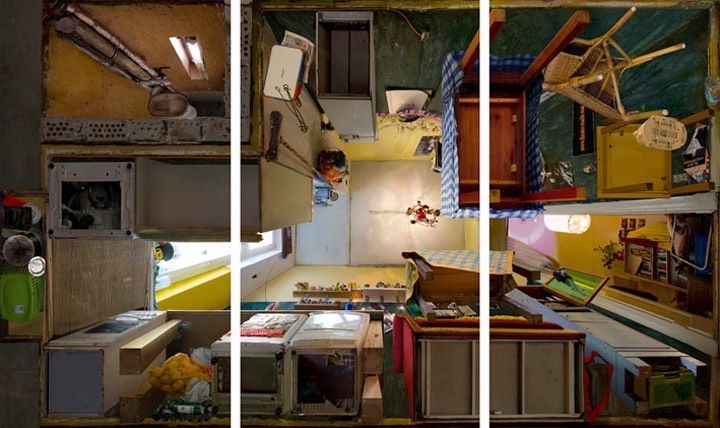 The view of the room from below the floor, at first appears to be easily comprehensible, but then it quickly withdraws itself into a self-contained aesthetic.